Tidewater 807 - FREE GOLF, FISHING, DVD RENTALS, WATERVILLE AND ESCAPE ROOM TICKETS! 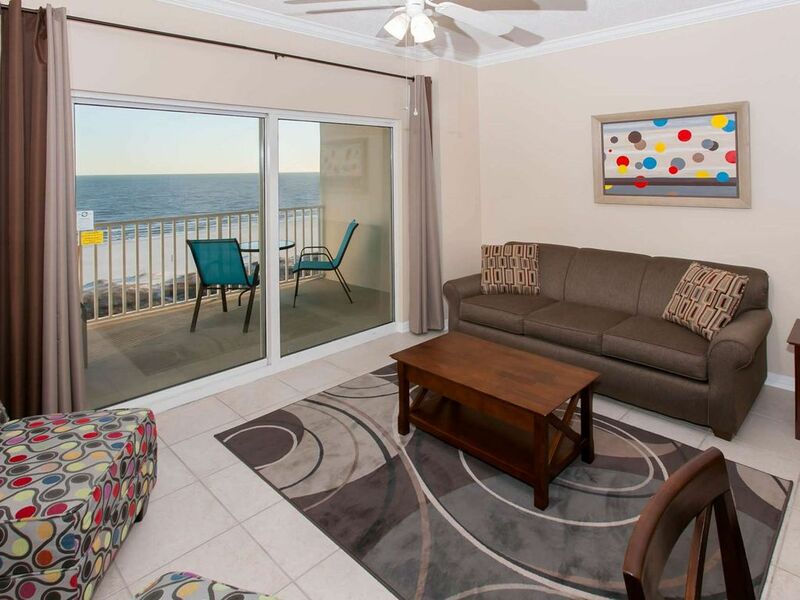 Tidewater 807 is a one bedroom, one bath, newly updated condo with amazing Gulf-front views from the 8th floor. • Living room has a sleeper sofa with a 43" flat screen TV/BluRay. • Master bedroom has a queen size bed with a 32" TV. Excellent access to pool, beach, good eats. Grounds were well kept and clean. Condo was perfect. Location and complex are nice, unit is subpar. Example -and not well kept. TV wires hang from walls, most drawers are off track, and it’s furnishings (what’s there) are pretty dated and the bed creaks extremely loud. We enjoyed the view from the room, the proximity to venues, and the pool and spa. We had a great time. The room was very nice, clean and spacious enough for us. The only thing we would change is the check out time. We felt a bit rushed with the children and the time change. Has everything you need and very convenient location. Would definitely stay again!